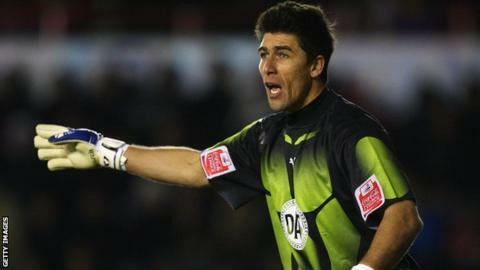 Truro City have signed veteran former Bristol City and Hull City goalkeeper Adriano Basso on a short-term contract. The 41-year-old Brazilian last played in England in 2012 for Hull in the Championship, and has made a total 222 appearances in English football. He also played for Ponte Preta and Atletico Paranaense in his homeland. Truro are awaiting international clearance, which they hope will come in time for their opening game of the season against Chelmsford on Saturday. "He brings a wealth of experience with him," Truro City boss Lee Hodges told BBC Radio Cornwall.